Vermont law enforcement authorities suspect a clandestine meth lab maybe the cause of a Saturday fire, which left one male with severe burns. The Vt. State Police Arson unit was called to investigate a fire involving a camper on Bayley Road in Ryegate. The victim was taken to Cottage Hospital and then flown to Boston. He is in serious condition. The occupants of the house next to the camper were evacuated to a neighboring residence for the evening. Troopers secured the area and on Sunday. The Vermont State Police Clan Lab team, Vermont Hazardous Materials Response Team, Ryegate Fire Department and Woodsville, NH ambulances returned to the scene. Hazardous materials and chemicals that were used in the manufacturing of Meth were located and secured. The materials were disposed of accordingly residents were allowed to access to the property. No materials were located in the main residence. The cause of the fire is still under investigation and the investigation is ongoing at this time. A Springfield VT woman was airlifted to DHMC after an early morning accident on I-91 in Hartland on Saturday. 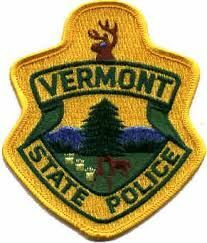 Vermont State Police in Royalton responded to a single vehicle accident on Interstate 91 northbound near mile marker 63. Police say¬ Sarah Freeman 31, struck a deer and then lost control. Freeman’s car went on the west side of the Interstate and struck an embankment causing the vehicle to roll over. Freeman 31 was ejected from the vehicle and was airlifted by DHART (Dart) to D.H.M.C.The northbound section of Interstate 91 near mile marker 63 was closed for approximately 2 hours. The Hartland Fire Department, Hartford EMS, Golden Cross Ambulance and DHART assisted with this accident. Two people were airlifted after a head on collision on Rt3e 103 on Friday. The accident happened shortly after 5:00 pm west of One Mile West in Sunapee. Sunapee Police Sgt. Neil Cobb said the accident is still under investigation but it appears Morgan Hannigan of Newport was driving east in her sedan when she crossed the yellow line and stuck John Zelewski of Richfield CT driving west in his van. Both drivers had to be extricated and were flown separately by DHART (dart) to D.H.M.C. Neither alcohol nor speed were a factor in the crash and condition of drivers are not known. Assisting Sunapee Police was, Sunapee Fire, Newbury Police and Fire Departments, Goshen Fire Departments,and New London Ambulance. The road was closed for about 2 hours. S. Acworth Women Found Dead. New Hampshire State Police say Sheila Brodne 57 of S. Acworth who went missing last Tuesday was located deceased on Friday afternoon. Bronde had an long time illness. A Putney resident is dead after being involved in a utility vehicle crash caused by an alleged drunk driver. Police say 24-year-old Andrew Ielpi [[ eye-EL-pee ]] was traveling at a high rate of speed when he lost control of the John Deere 825i UTV on Milkway Road in Westminster. Ielpi’s unidentified passenger was ejected from the vehicle and struck a tree, and was pronounced dead a short time later. Ielpi suffered a broken hand, and is charged with DUI.